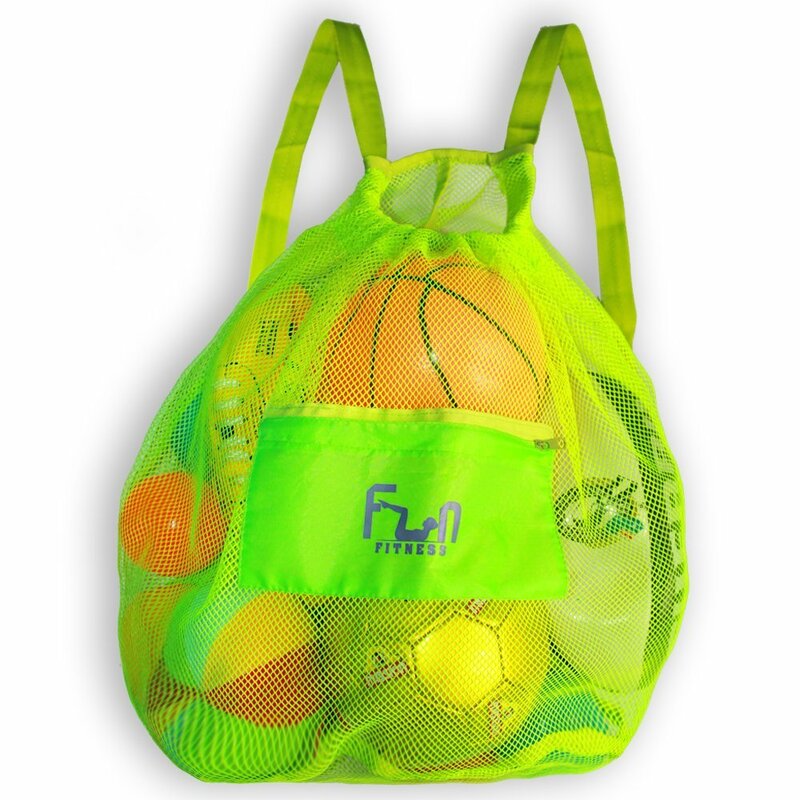 I just got this great mesh beach bag from FunFitness. This is a great bag, made of mesh material so it’s breathable, you can put in items that are wet or wash them off in the bag and let it air dry. Very well constructed, seams are all well done, no problems with it unraveling or coming apart. There are straps so you can throw it over your shoulder, carry it by the straps, or even wear it as a backpack. There is a nice little pocket in the front that zips closed for smaller items. It cinches closed at the top to keep all your items safe inside. Very nice bag for the beach or playground. I actually use mine at the beach/lake a lot. The kids always want to take their sand toys with them. I usually just throw them all in the bag when they are done playing I throw them back in and then hose them off and hang it up to dry. It’s really easy to carry with the straps. It works great. Very nice bag!